Just saw Alice In Chains at the Aragon Ballroom yesterday. Venue was packed, actually too crowded for comfort if you ask me. Made it difficult to enjoy the show, or even view the band. May have gotten a better spot, but we were late arriving to the show. The music was great however. The band works well with new singer, William DuVall. Unfortunately I never got to see the original line-up live when they still had Layne, so I cannot rightly compare the two. They did pay tribute to him several times during the show. May they carry on for many more years, and hopefully, play a bigger venue next time they're in town! 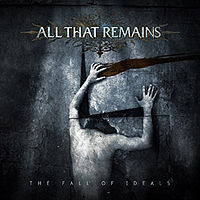 All That Remains are a metalcore band from Springfield, MA. Under the production guidance of Killswitch Engage's Adam Dutkiewicz they've become a solid part of the east-coast melodic-metalcore scene. In fact their lead singer even auditioned for Killswitch's vocal spot back when they decided to go with Howard Jones. As their sound has evolved over their last couple albums, they've increased the use of melodic vocals in their music, while their guitars & drums have remained brutally heavy. I first discovered them at Ozzfest '06, when they were supporting their album The Fall Of Ideals. I've also seen them more recently at Mayhem Festival last year. A couple years went by and they were on the bill of another summer heavy metal music festival I was planning to attend. However the key was their new album, Overcome. For me, this was the type of album I needed to fully gain an appreciation for this band. It helped that their single,"Two Weeks" was getting some air-play on my local rock & metal radio station. As is usually the case with me, it was the guitar solo that caught my ear. Give me a good guitar solo and a bit of melody in the riffs & vocals and I'm usually happy. Unable to get enough of this song, I went out and bought the CD. Then I noticed their Fall Of Ideals album right behind Overcome, with the sticker advertising Ozzfest 2006 still on it. Then I realized why their name sounded familiar. Eventually I bought that CD as well. Of the two, Overcome is much more melodic on all levels. It's primed for more mainstream listeners. 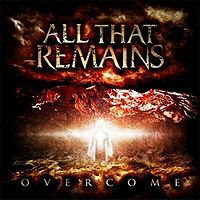 Lyrically, All That Remains seem to focus on self-empowering themes. Strength, resiliance, and integrity in the face of adversity generally sums up what All That Remains are all about. So now I see their direction more clearly; blending death-metal screaming vocals with melodic, almost 80's-metal style vocals, while the guitars & drums follow the same contrast; beautiful clean & pretty melodies one second, blast-beat & bone-crushing heaviness the next. Depending on which song you're hearing from All That Remains, the two extremes are present in varying ratios. There are a lot of bands out there that blend the screams with melody as well, but All That Remains really have a unique formula that stands out a bit. Black Sabbath are often credited as being the first true heavy metal band. Regardless of when and where 'heavy metal' began, Black Sabbath were certainly the heaviest band of their era. And they were certainly the first band to write songs as dark and demonic as 'Black Sabbath' or 'War Pigs'. Rising from seemingly nowhere, their sound, tone, and doom-themed lyrics caught on surprisingly quickly. Shortly after they were signed to a record label they began to crank out albums year after year, following the simplest of formulas: heavy riff, dark or psychadelic lyrics, drums, bass, and a catchy vocal melody. It may not sound like much, but they mastered it quickly. Brainstorming, and improvising on the spot, the four guys went to work. 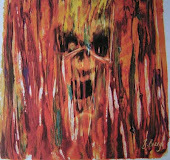 Starting with Tony Iommi's catchy guitar riff and flowing from there, they had the track cut less than 12 hours later. 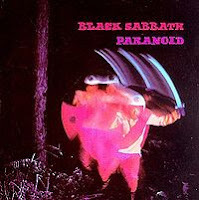 They called it 'Paranoid', and the record company liked it so much they changed the name of the album to match! Today it's often called their best song, and always used as a concert encore, whether you're seeing Black Sabbath or Ozzy.